What are Die Cast Toys and what makes them popular among Collectors and Enthusiasts? For generations, die cast toys have been the favorite among toy lovers and collectors. It is primarily made thru the die-casting process wherein molten metal or alloy is injected in a mold under pressure to form desired figures. Die cast toys have been in the toy industry since 1930s. 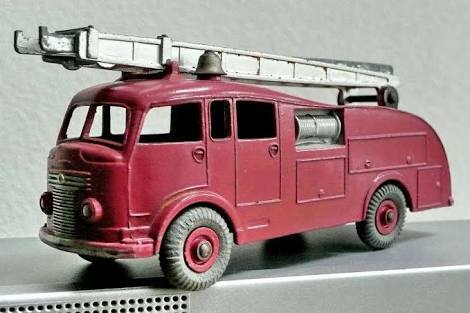 Throughout history, die cast cars are the most popular; but some other figures like trucks, trains, figurines, etc, are also gaining fan bases. Why are Die Cast Items Popular? Nostalgia plays a big role why die cast item lovers collect this stuff. Most of these collectors prefer vintage models that they wanted to have as a child. These vintage die cast items have also been released in limited quantity. Factories around the world that manufacture die cast cars or toys only release them in short time frames. Thus, it also costs a considerable amount of money. Die cast toys also preserve their embodied figures for as long as they are in their best condition. Lead and zinc alloy that are used in die casting are the strongest materials; it is a given fact that die cast items definitely last for a very long time thanks to the strength of these materials. Likewise, condition of the item is a big deal in buying die cast toys since prices degrade when your item’s condition is further down the scale. But knowing that you have strong materials to start with, this gives you a peace of mind that you have a quality item. One of the best reasons why collectors are fund of the die cast toys is the great attention to detail manufacturers have given to each of these items. These die casts have different ratio or scale in comparison to the original figures they embody. There are different scales of sizes: 1:12, 1:18, 1:64 and 1:87. My favorite is the 1:64-scale since it’s the most popular scale and it also holds the most practical price standpoint. Of course, you can opt for a bigger scale sizes but it’ll cost additional price. What’s good about them is that, even though some of them are relatively small, they never lose the individuality and details. Factors like wheel details, colour scheme, etc, are points in determining the rarity of the die cast item. 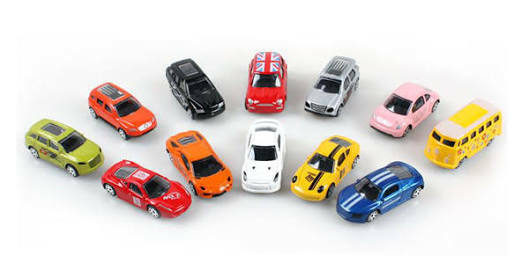 Aside from cars, die cast toys also include action figures or any other popular characters from Marvel or DC franchise. The die casting industry always live up to intricate standards where products are subject for approval of partner studios or franchisers. This will give buyers an assurance that the die cast figurines or action figures they’re buying have exactly the same proportional copy as the original. The die casting industry always live up to intricate standards where products are subject for approval of partner studios or franchisers. This will give buyers an assurance that the die cast figurines or action figures they’re buying have exactly the same proportional copy as the original. As much as I love the simplicity of these die-casted items, I also loved the fact that manufacturers infused extra features and functions in these toys. There are model cars with extra features like opening doors, windows, detailing of engines and internals. Figurines have rotating arms, accessories, etc. These made the whole collecting of die cast items fun in many ways. Of course this added premium will also cost more due to additional process and materials used in manufacturing. If you get to have the chance to start a hobby of collecting die cast items, you should. As a millennial driver, I am always fascinated with highend sports cars, motorcycles and action figures ever since I was a child. But I always get to experience those thru collecting their miniature models. And I’m toying with the idea of collecting once again; this time with bigger scale-sizes. I mean, why not? Die-casted items are like antiquities. The older it gets, the more value you get. Investing with these items is always a good hobby. It may be expensive, but I’m sure it’s value is worth every cent.